James Frederick Glasper was born in Stokesley on 24th March 1897. He was the son of James Robert Glasper, a bricklayer’s labourer, and Mary Taylor, who were married in Stokeley in 1893. Both James Robert and Mary had been born in the town. James senior’s mother Jane was the school caretaker in 1891, while Mary’s father was an accountant and was himself Stokesley born. James’ sister Rhoda died later in that year, and James, now an only child, became a pupil at the Preston Grammar School in College Square. James and his parents were still in West End when the 1911 census was taken, and James then aged 14 was a grocer’s apprentice. We are told he was a member of the Stokesley Volunteer Band, and according to the Book of Remembrance he became a clerk before joining the army as soon as he reached the required age. 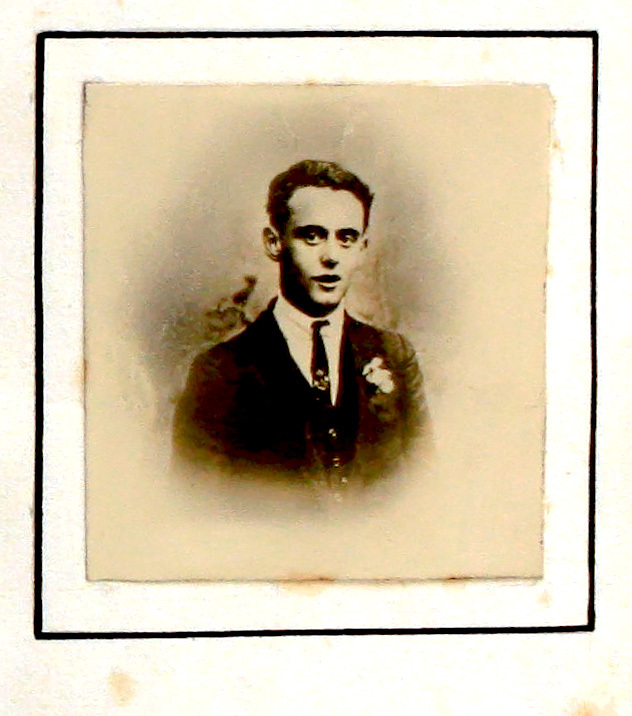 James Glasper enlisted as Private 6122 in the East Yorkshire Regiment , and carried out his training at Newcastle. There he took part in a foot race of over 2000 men, and came in a creditable 37th. He was sent to France in July 1916 and was transferred to the King’s Own Yorkshire Light Infantry (KOYLI). Both the East Yorkshire Regiment and the KOYLI were part of the 64th Brigade, 21st Division which from 15th September – 22nd September 1916 was involved in the Battle of Flers-Courcelette. The objective of this battle was to cut a hole in the German line by using massive artillery and infantry attacks. Britain’s newly-invented tanks were used for the very first time in this action, although not as many were available as anticipated and the mud rendered most of the machines inactive. The rain had eventually stopped when the 64th Brigade, with 9th KOYLI and 15th DLI in front, and the two other Battalions in support began to make their 1500 yards advance towards their first objective. “This was done under fire, and the 9th KOYLI, advanced well and in fair formation to approximately fifty yards from the objective, where it occupied the shell craters that were everywhere. The losses had been very heavy [from machine gun fire and shrapnel] and the attack that followed was not made in sufficient strength to prevail. The position in the craters was held throughout the day, but under the cover of darkness the troops were withdrawn to the road running from Flers village towards Lesboeufs’. From “History of the KOYLI during the Great War 1914 -1918” by Wylly and Bond. In plain speech, the British troops had advanced for nearly a mile over open ground in the teeth of enemy artillery and machine gun fire. It seems hardly surprising that the survivors lacked the required numbers to assault the enemy trenches successfully. The actual casualties were: officers - 4 killed, 6 wounded, and 3 missing. ‘The other ranks’ - 43 killed, 180 wounded, and 153 missing. "There were none near him left alive to tell one word of him"
Private Glasper was 19 years old when he fell. He was the only surviving child of his parents and has no known grave. He was awarded the British and Victory medals and is commemorated on the Thiepval Memorial Piers and Face 11C and 12A. Go to next soldier: Hartas T.H.